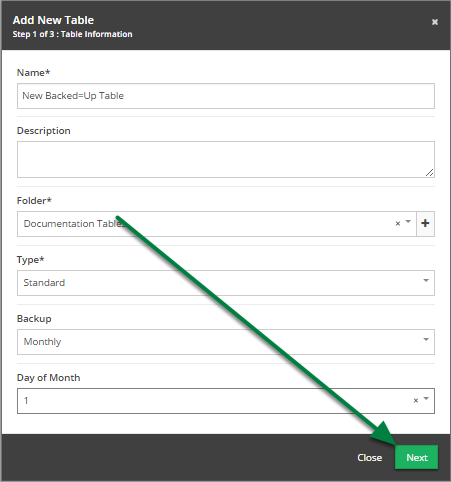 Documentation and SupportReleases Sassafras Release Notes 2016-06-07Tables can now be scheduled for backup upon creation. 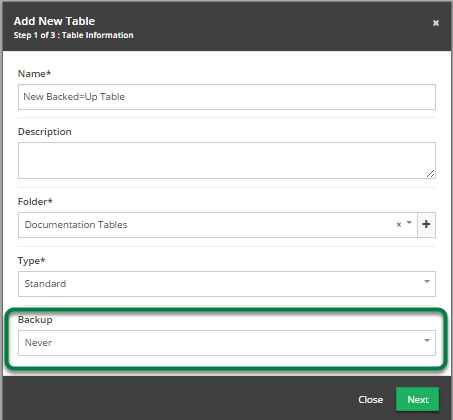 It is now easier to set up a new table for backup than ever before. 1. Open the 'Add New Table' modal. First, click the 'System' button. 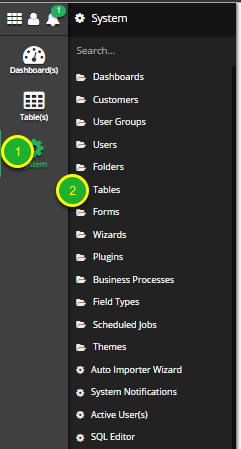 Next click the 'Tables' System Tool. 2. Click the 'Add New Table' button (+) to open the modal. 3. Fill out the table information in the 'Edit Table' modal. Note the drop down for 'Backup' is set to 'Never'. In order for this table to be backed up, this must be changed. 4. Choose appropriate backup frequency. 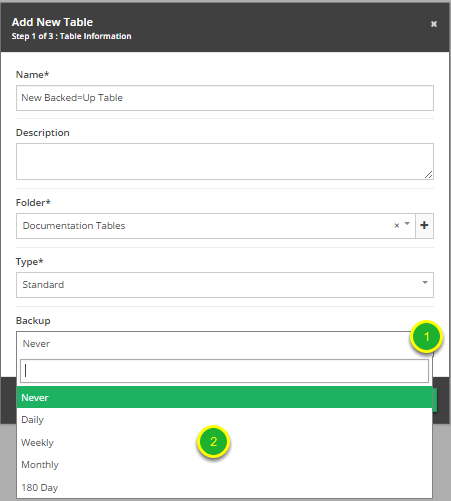 Click the 'Backup' drop down to display backup frequency options. Choose the frequency that suits your needs. When 'Backup' is set to 'Daily', you must provide the 'Time of Day' for the backup. 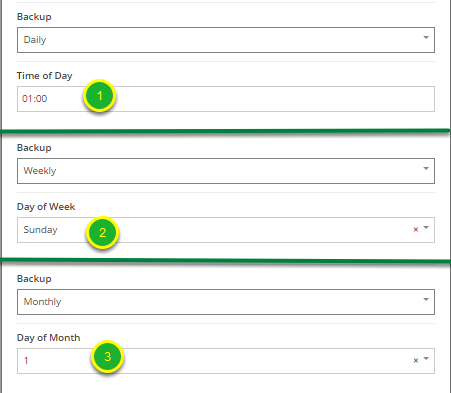 When 'Backup' is set to 'Weekly', you must provide the 'Day of Week' for the backup. When 'Backup' is set to 'Monthly', you must provide the 'Day of Month' for the backup. 6. 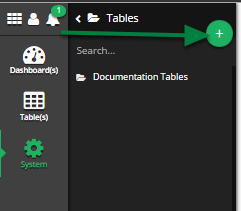 Click 'Next' and complete table creation as normal. Prev: Number of Fields will now be displayed in the 'Edit Table' modal. Next: Enhancement to 'From Table' Business Process Rule type.